NOTE: Hillary’s kitchen is the first profile within a larger segment of our blog which will detail our design work as a firm. Whether we've just helped you purchase a new property that you're eager to make your own or you've been in your home for years and need a refresh, we offer design services of all scales and styles. 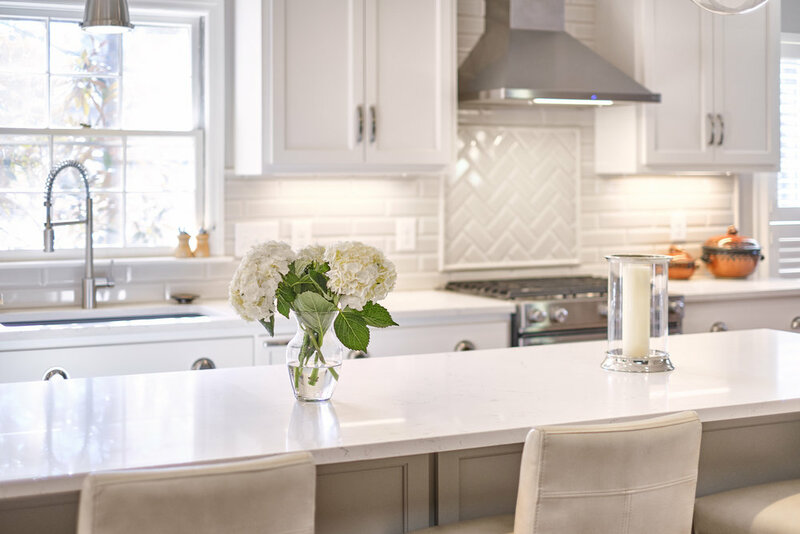 Read on to discover more about how we helped Hillary transform a less than ideal space into a showstopper kitchen. Moving to Durham, Hillary was determined to be in a particular area of the city - close to family and friends. After a tedious search, she found her gem of an abode while driving around Hope Valley and put in offer on it within twenty four hours. However, she knew when she moved in that something would simply have to be done about the kitchen and bathrooms. Serendipitously she was connected to RED’s Susan Ungerleider via a friend who had recently remodeled a bonus space with Susan’s help nearby. What was on the agenda once they got to work? 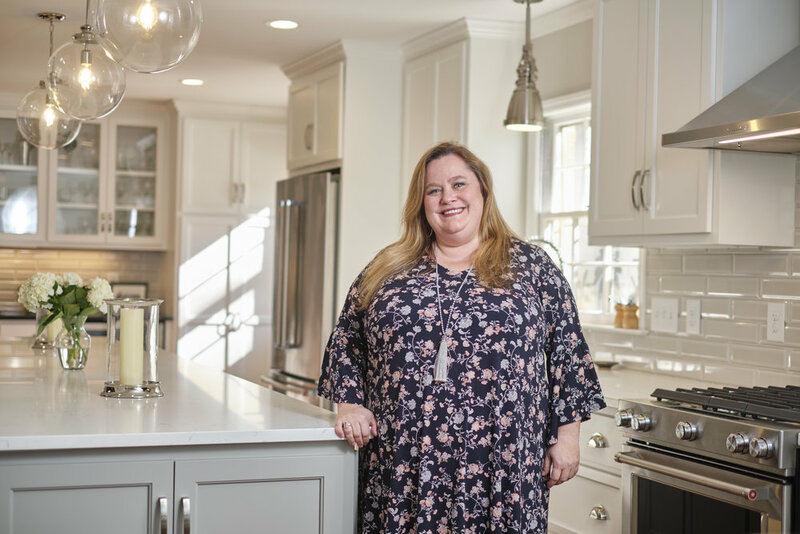 In conjunction with Susan’s space planning, Cindy Spuria helped with finish specifications and Bercon Building Company managed the construction. 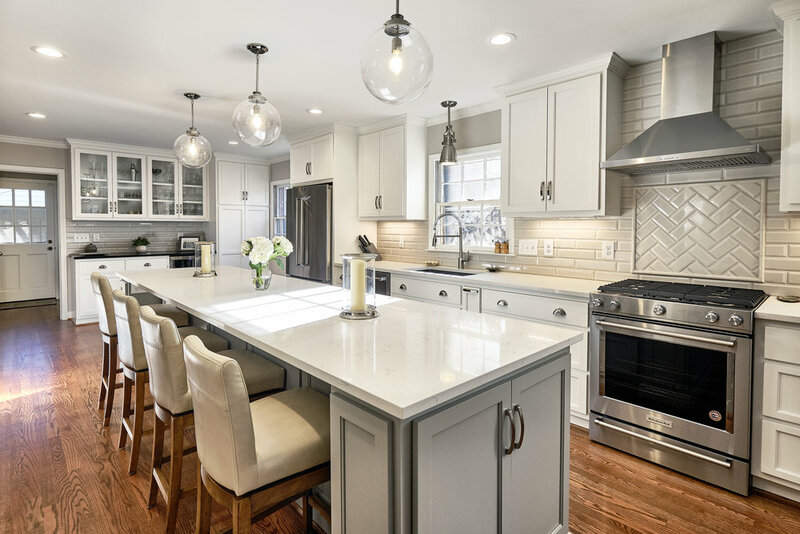 As luck would have it, the existing dishwasher and fridge died right before demolition began but once the project started, there were virtually no hiccups. Forming a close friendship with the project’s contractor and everyone involved made the kitchen feel like a welcoming space right from the start. 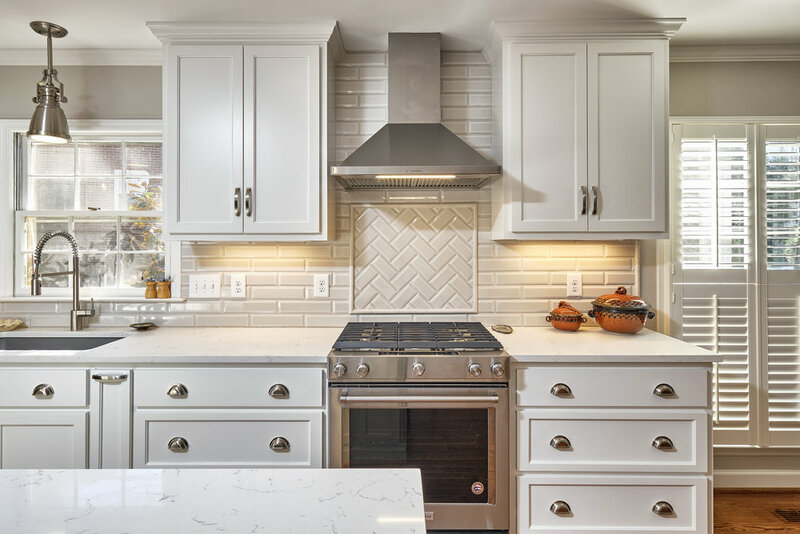 A friend, Iris Johnson, stepped in towards the end of the project helping with additional colors and lighting choices while Custom Stone and Marble did a beautiful job with the island’s masterful marble. Adorning the main walls are two paintings by Louisiana artist Sue Sartor and the carefully selected collection continues to the breakfast nook where a friend, Daisy Dunn’s pencil sketch makes the space feel both elegant and immensely comfortable at the same time. What’s RED’s favorite part of the kitchen design? The crawfish and gumbo pots made by potter Kathy Hoskin. They’re a family heirloom and part of a larger collection started by Hillary’s grandmother. They take take center stage with a rich warmth of color paralleled only by our client’s glowing personality. A joyful kitchen fit for a cook, an entertainer, and a truly lovely woman. To read more about our design services visit the WHAT WE CREATE page or simply reach out and say hi via design@red-collective.com.